Join us for the 17th Annual Genealogy Lock-In. Programming is listed below. 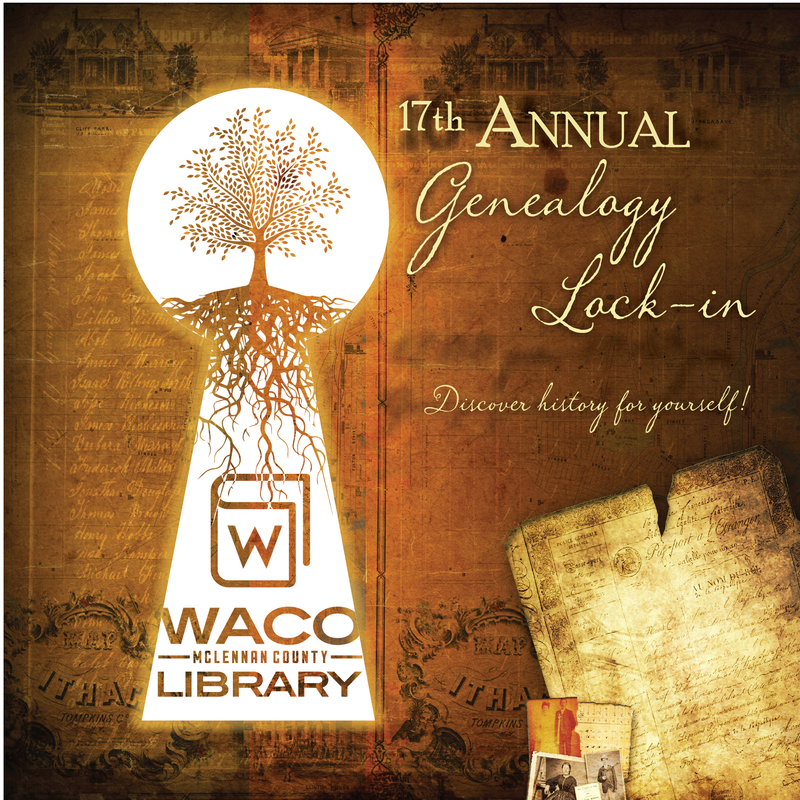 If you have questions about the Lock-In, call the Genealogy Center at 750-5945. 2:50 - 3:50 pm My Texans during the Republic. Do you have a road block in your family research and need some special help? During the event at the Waco location and via Skype at participating libraries http://bit.ly/2u1eoMa the Lone Star Chapter of the Association of Professional Genealogists (APG) will be hosting an Ancestors Roadshow from 3:30 p.m. - 9:00 p.m. The Roadshow is an opportunity for you to enjoy a free 15-minute consultation with a professional genealogist from the Lone Star Chapter. You can ask questions about a specific genealogical problem or get general information on how to approach a research quandary. This is an excellent chance to get expert advice on that brick wall dilemma or elusive ancestor in your family history research. Roadshow appointments are limited to one-per-customer. To register, fill out a questionnaire at lonestarapg.com/roadshow_forms.htm and email the form beginning October 16th to WMCLGenealogyCenter@wacotx.gov or bring the form and register on-site (Waco) starting at 3 pm. on October 20th. You must be present in Waco or at a participating library to be assigned a time slot.